Working with 3-5-year-olds, vehicles tend to be a big favorite (okay, with the boys). Here are some Thomas the Tank Engine/basic concepts books I posted earlier, and here is a SMARTBoard activity I made to target labeling vehicles/categorizing them into land/sky (I just used it on my laptop). I printed out similar visuals and laminated the board/pieces to velcro onto it. Here’s a sentence strip visual for pairing color + vehicle (used with students requesting different toy vehicles). 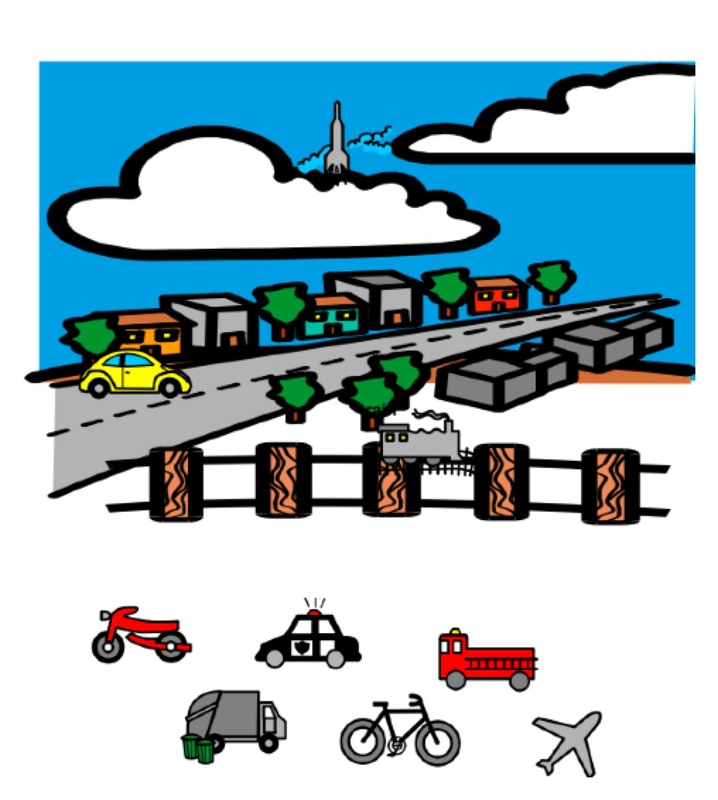 Downloads I like from around the web: transportation unit over on Speech Lady Liz, Air vs. Land vehicles (printables), “count the syllables” vehicles (interactive), big vs. little vehicle visuals, sentence strips with vehicle + location. Favorite related iPad app is Peek a Boo Vehicles. There are some nice interactive Thomas puzzles and stories out there on iTunes, too.